If you run a one man online business or you are a "jack-of-all-trades", then you know how time consuming accounting for your business can be. Especially if you don’t have formal accounting background. Worry no more, because with Xero for EasyStore, you can export your online orders to your Xero account and enjoy seamless financial reporting with just a few clicks. It&apos;s all online, so you can work when and where you want to. Just login with your PC, Mac or mobile. 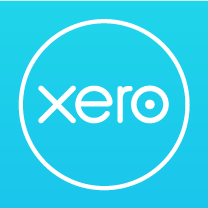 Before this, you need to manually copy your sales data or create new invoices in Xero accounting software. But with Xero App for EasyStore, you can now easily export all of your products, orders, and customer data with a single click. This will save you hours of manual data entry. After you connect your Xero account with EasyStore, all new orders and customers will be sync automatically.